Cancellation is free of charge if group cancel 1 week before of arrival date, otherwise 1 night money will be charged. Valid credit card require for booking. All the money must pay by bank 1 week before of arrival. Only 15 minutes walking distance from the European parliment. Gare du Nord train station is 1.6 km from the hotel and Central train station is 1.4 km. The Hotel was etablished in 1981, its first renovation was in 1991 and the second in 2004. 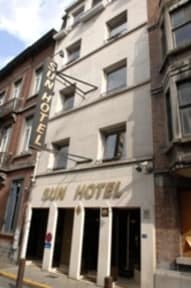 Sun Hotel is 2 star hotel with 22 rooms including toilet, shower, tv, telephone, safe box, radio etc. 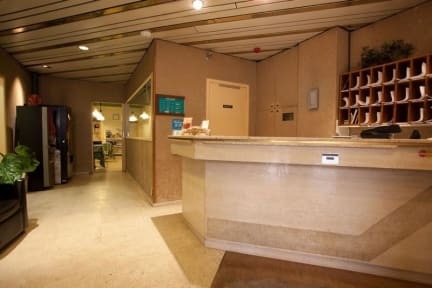 ** 24 hours reception desk open. ** Wifi is free in the room. ** Hall 01 is reserved for continental breakfast, serve from 07.00 am till 09.30 am, cost 5 euro per person. ** Private parking available (Reservation is needed) and cost 10 euro per day. Prima hostel. Prima bed douche en het ontbijt biedt wat nodig is.